I have a buddy who is into running with his wife. Each year they enter the Army Ten Miler. He tells me stories about the crowds, congestion, trash all over the place, needing to get up at 3AM to get down there on time, and how they had to walk the first mile because of all the walkers and runners jammed onto the course. It sounds glorious. What if there was a way to run races like the Army Ten Miler on your time, away from the crowds, when it’s convenient to you, without all the hassle? Or what if you can't make it to Spain to run with the bulls, but want to? With Virtual Racing, all that has become a reality. A virtual race is a race that can be run from any location you choose. You can run, jog, or walk on the road, trail, track, treadmill, or even while running at another race. You run your own race, at your own pace and time yourself. It’s more fun with friends, but you can also run alone. You simply sign up for the virtual race of your choice and submit your time. 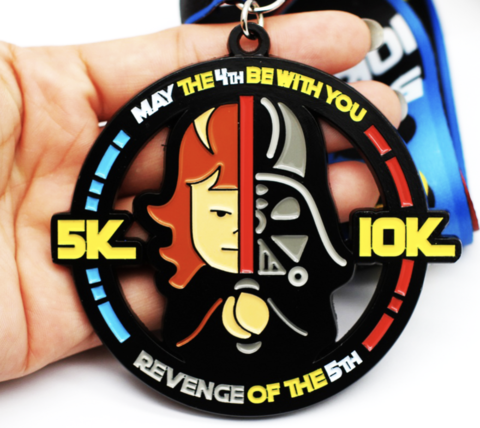 The virtual race organizer ships your completion medal to you. Some even come with race bibs and/or t-shirts. Many virtual races have dates you need to complete your distance in, in order to collect your medal. Some are open all year round. Others are tied to fun holidays like Pi day or May the 4th Day. Some, like the Full Moon Challenge, involve a series of runs set to coincide with the full moons of each month. Many are tied to charitable donations, so your registration fee goes to a good cause. You get the benefit of avoiding the crowds and having to switch your schedule around, as well as getting the exercise and hopefully enjoying it with others. 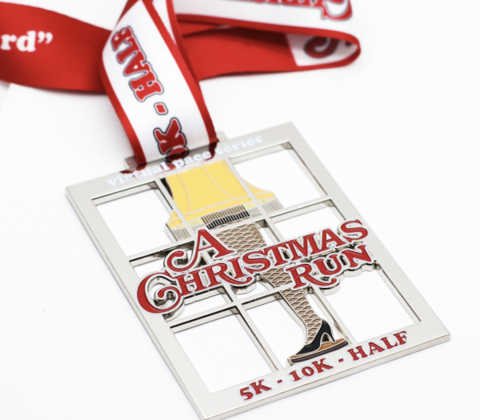 You also get some cool race bling to impress your friends. (Check out some of the medals. There are some really cool ones that could be a nice conversation starter if displayed in your home or office.) The charities get money towards their causes. Got a race you want to do? Post up on the CrossFit Frederick Community Facebook page and let us know. Let’s get a group together and share the fun!